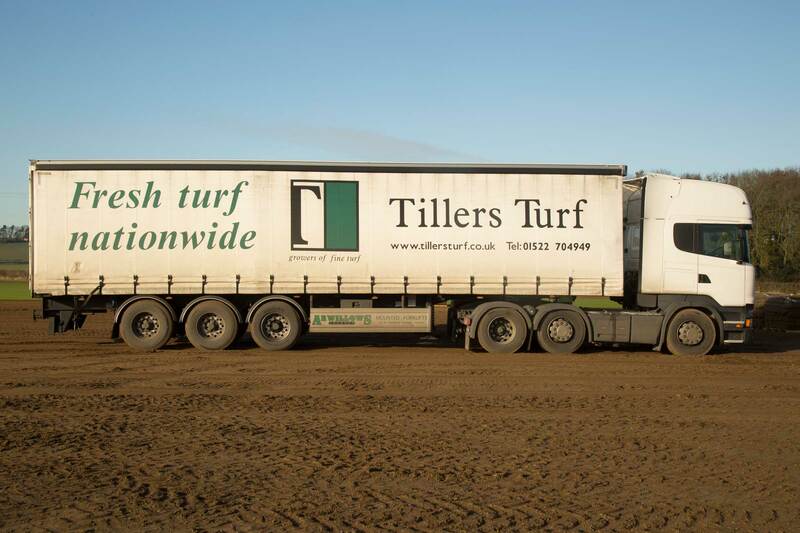 At Tillers our turf production site now spans close to 10,000,000m² and operates out of 100 individual fields. 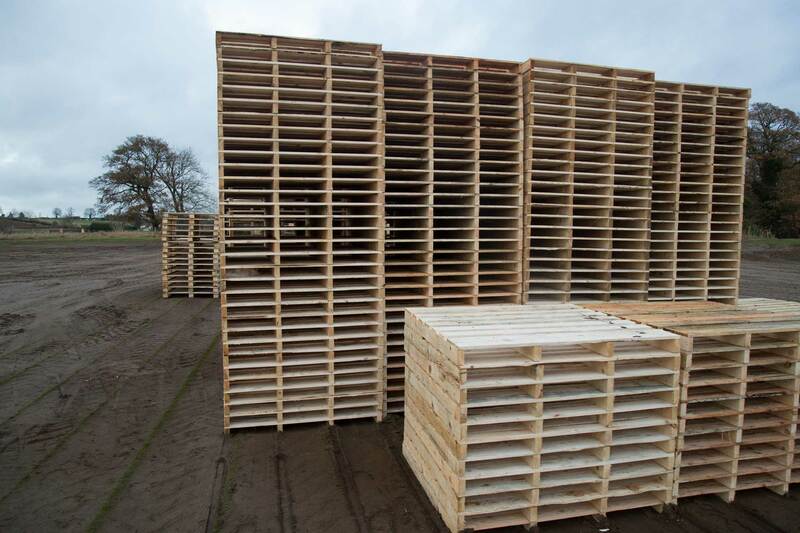 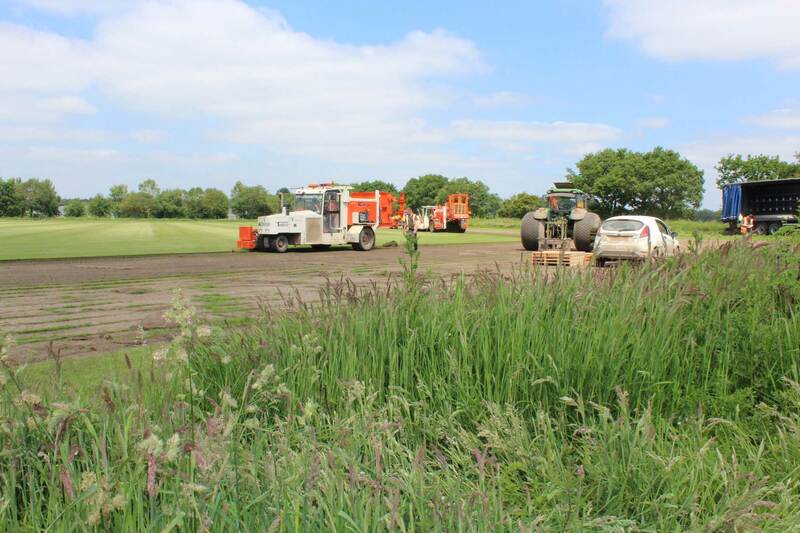 Managing a site of this magnitude requires the dedication, organisation and efficiency of our experienced production team to ensure our Golf, Landscape and Wildflower Turf is produced to the highest possible standards. 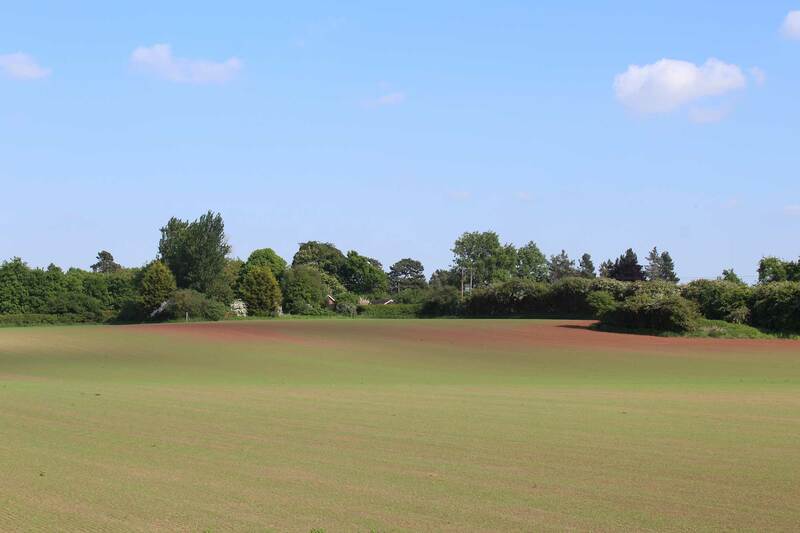 Prior to any fields being ploughed, they are first sprayed to dessicate any vegetation and disc harrowed to chop up remaining areas of unharvested turf. 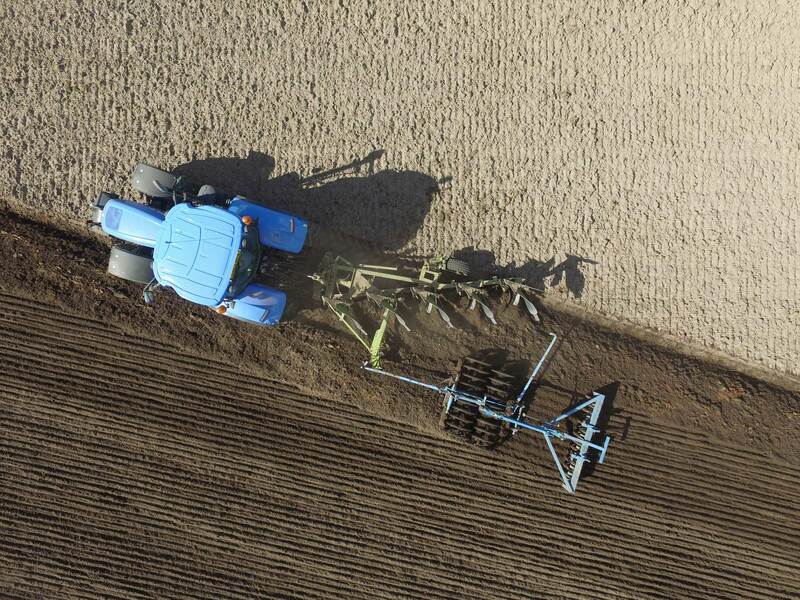 A subsoiler is then employed to relieve compaction caused by the previous production and harvest operations. 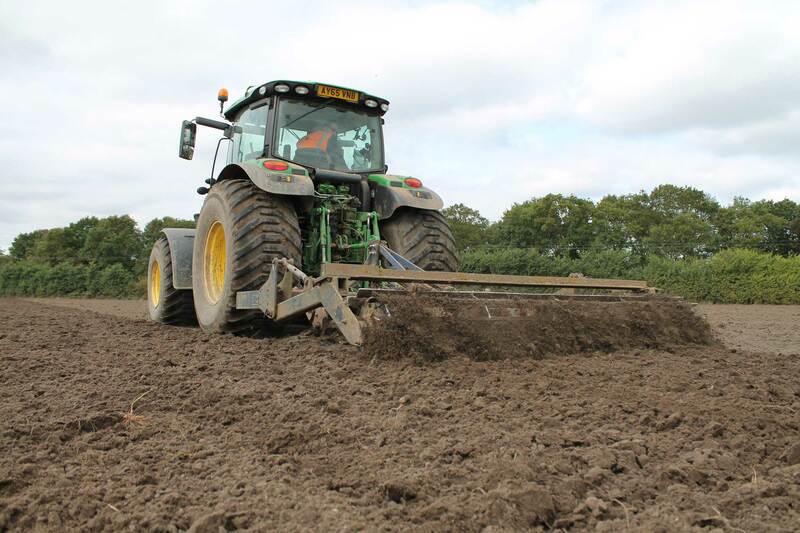 Finally, the plough sets in to bury any turf remnants and bring fresh clean topsoil to the surface in preparation for the new seed bed. 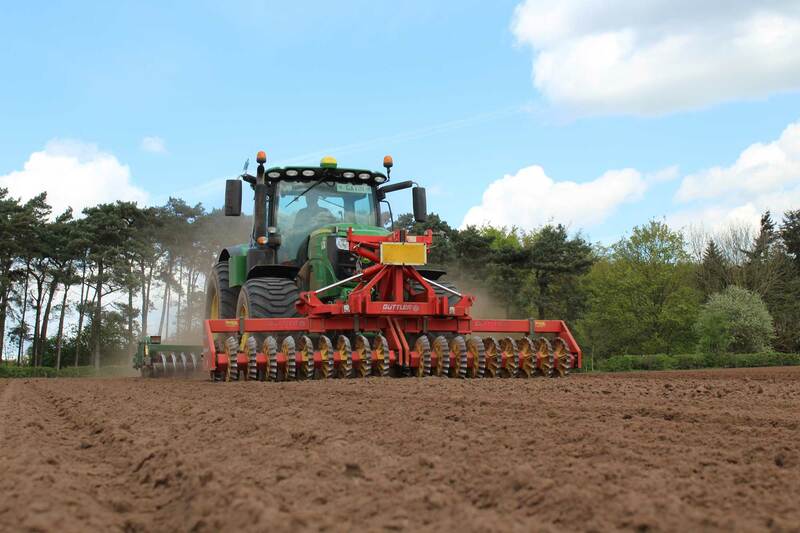 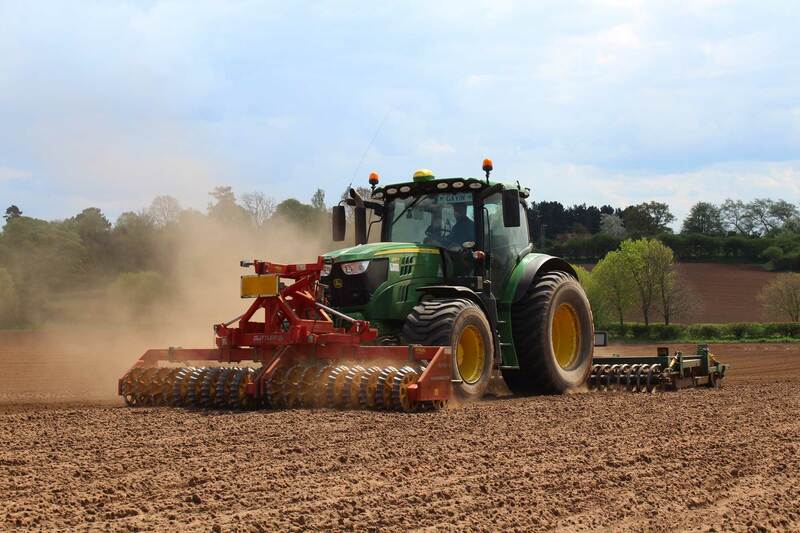 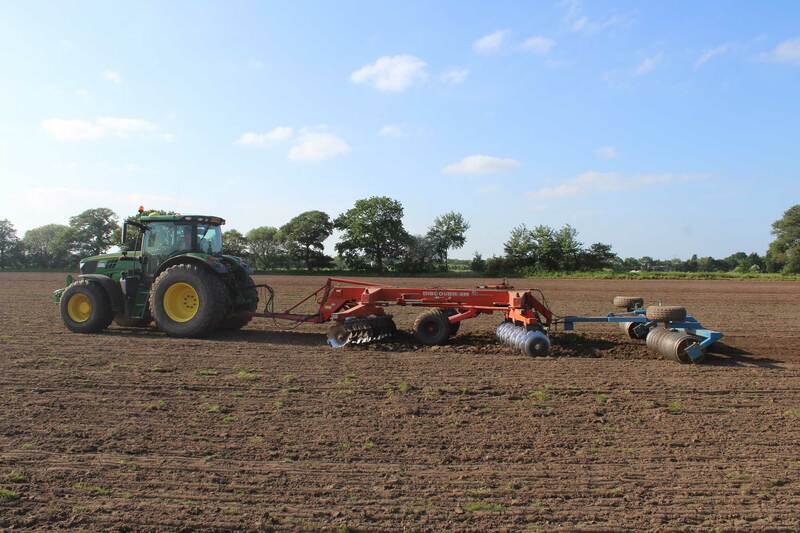 The combination of rollers, cultivator tines and depth adjustment on our Dalbo Rollomaximum, coupled with a GPS driven tractor ensures efficient and precise seedbed preparation, and in the majority of cases achieved with a single pass. 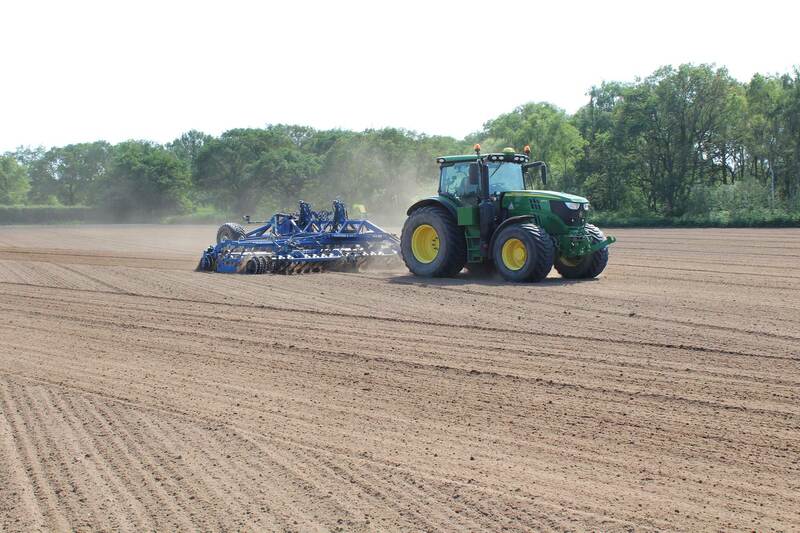 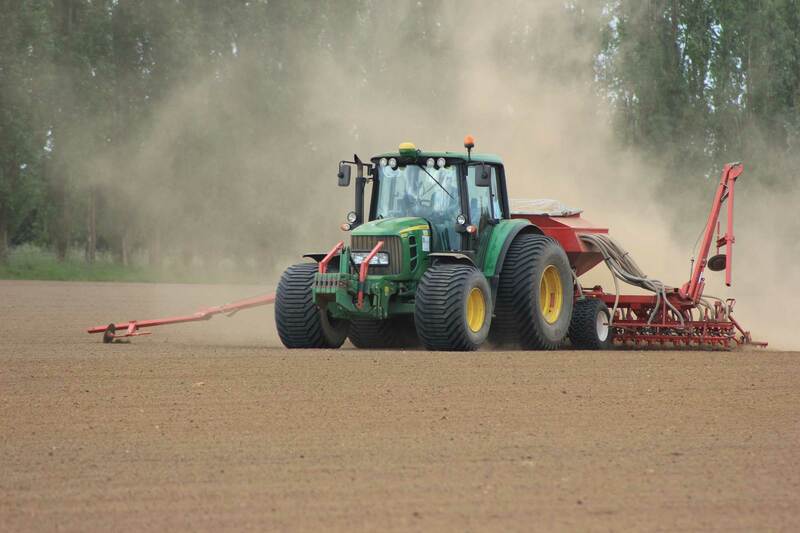 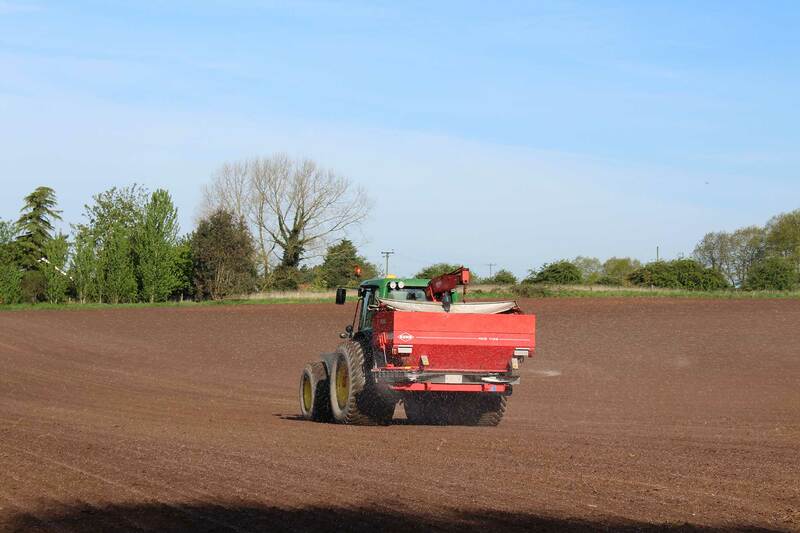 Accurate drilling is critical to the success of our high quality bespoke seed mixes. 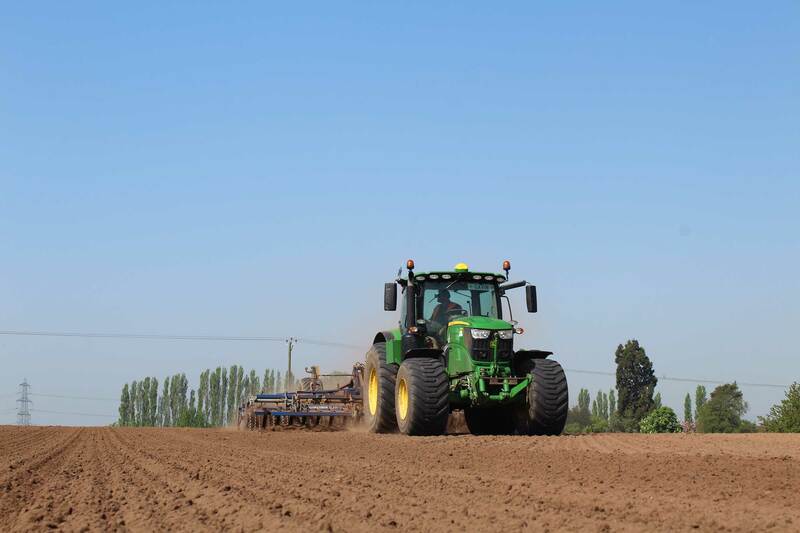 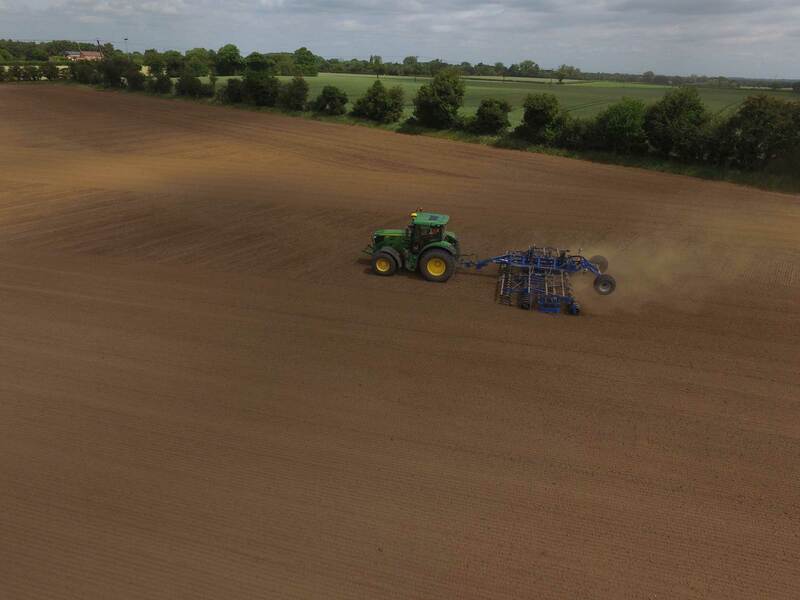 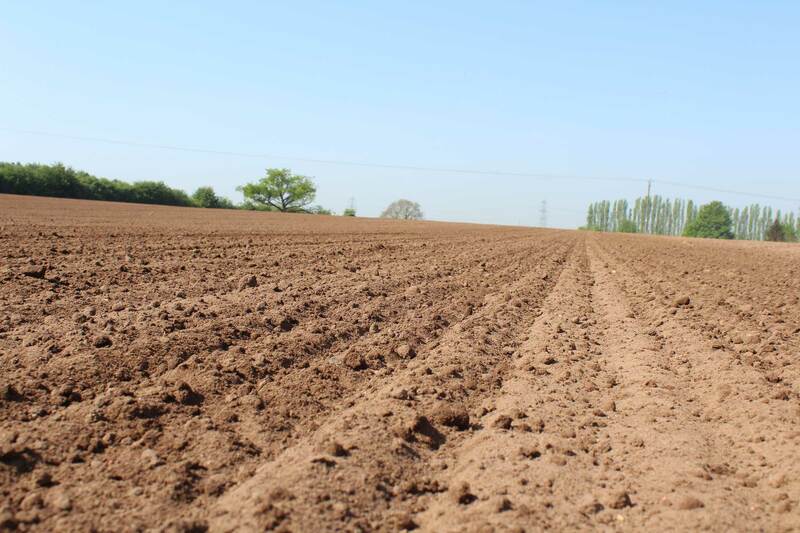 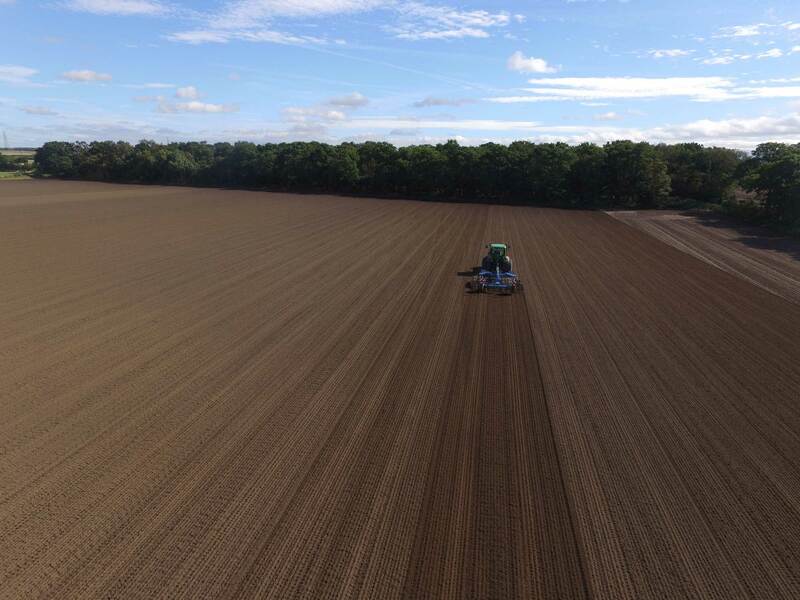 Our modified Accord drill with its pneumatic seed distribution is highly precise and efficient, resulting in optimum germination and plant density, critical to the quality of the end product. 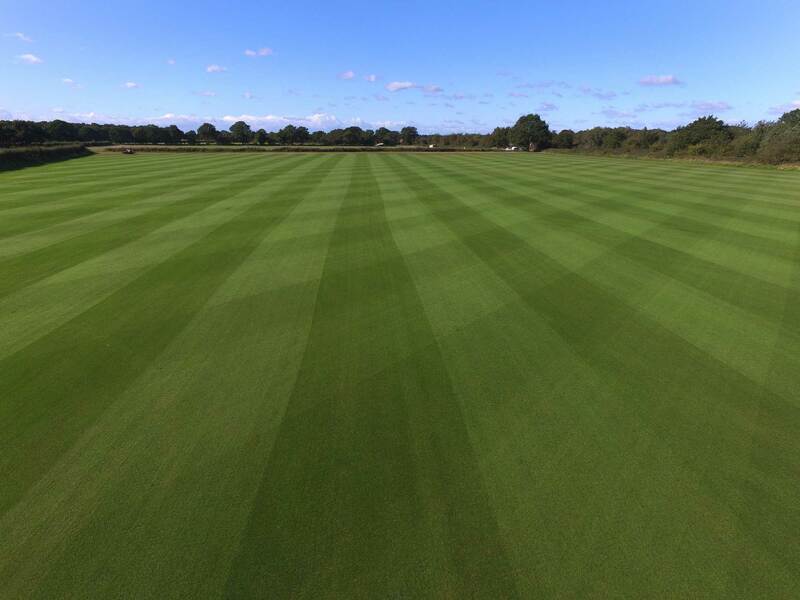 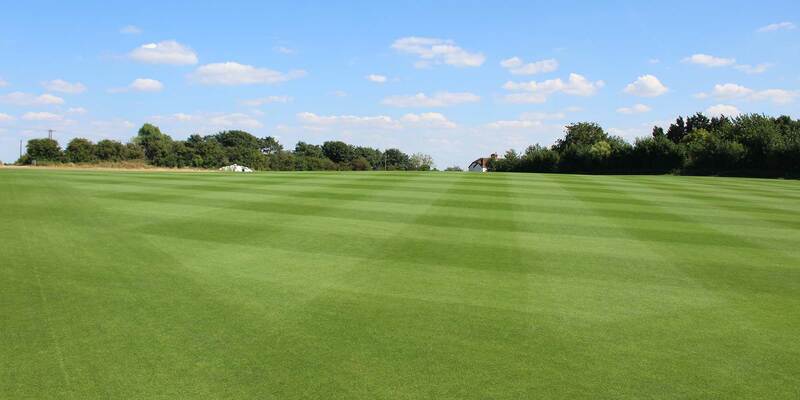 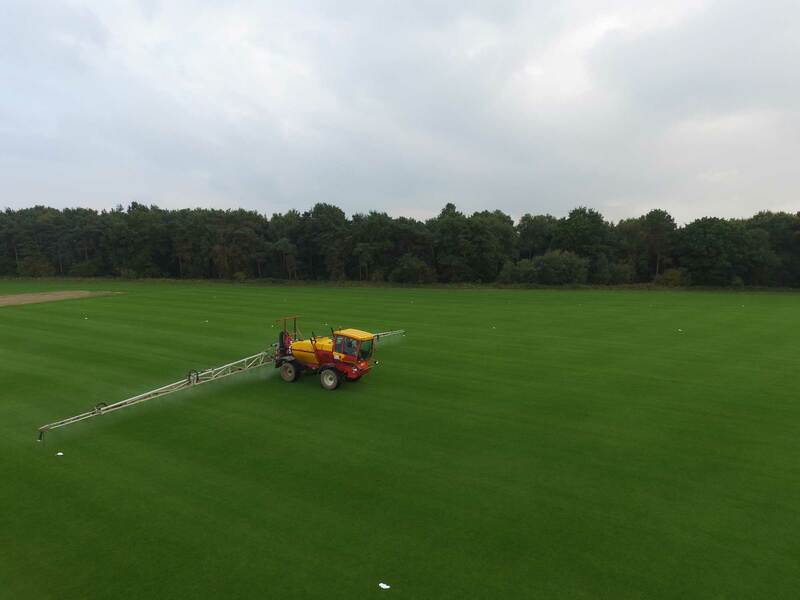 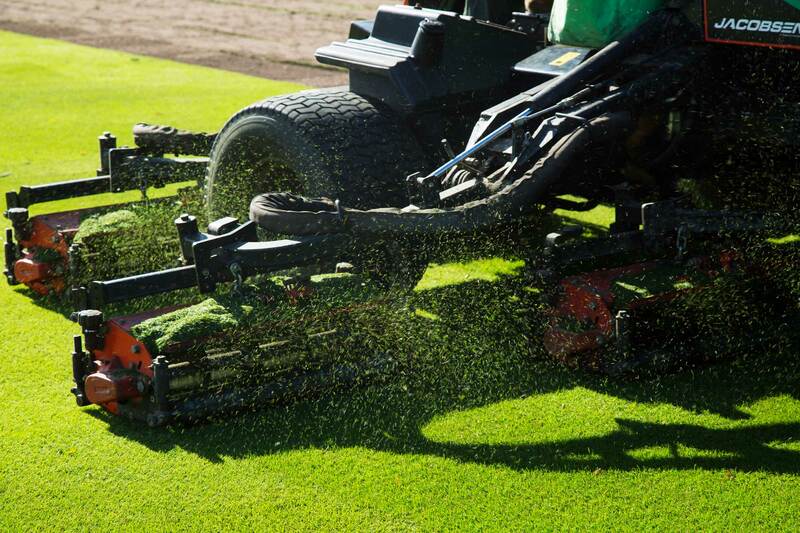 Following germination, our turf products are generally strong and mature enough to harvest after 12-15 months, with the exception of our greens and revetting products which can take longer due to their additional input requirements. 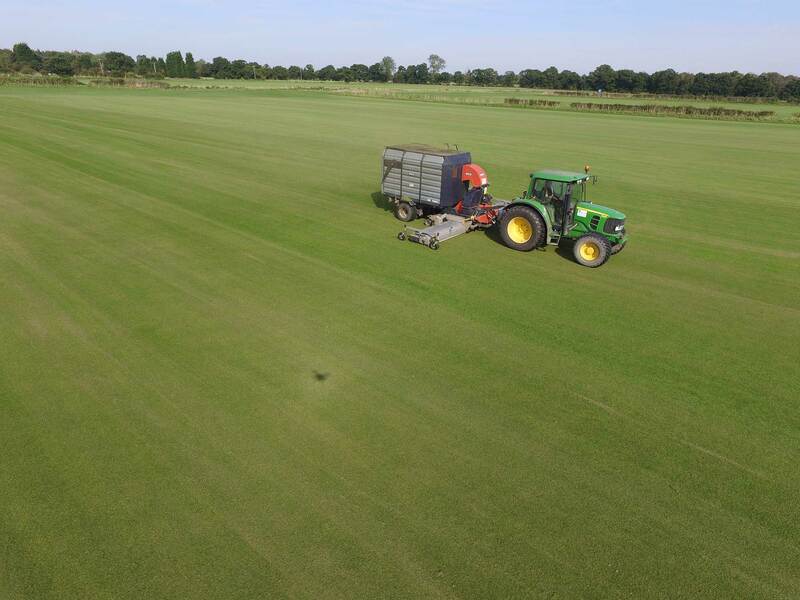 A responsible plan of IPM (Integrated Pest Management), coupled with balanced nutritional input throughout the production process ensures a dense, healthy sward at the point of harvest. 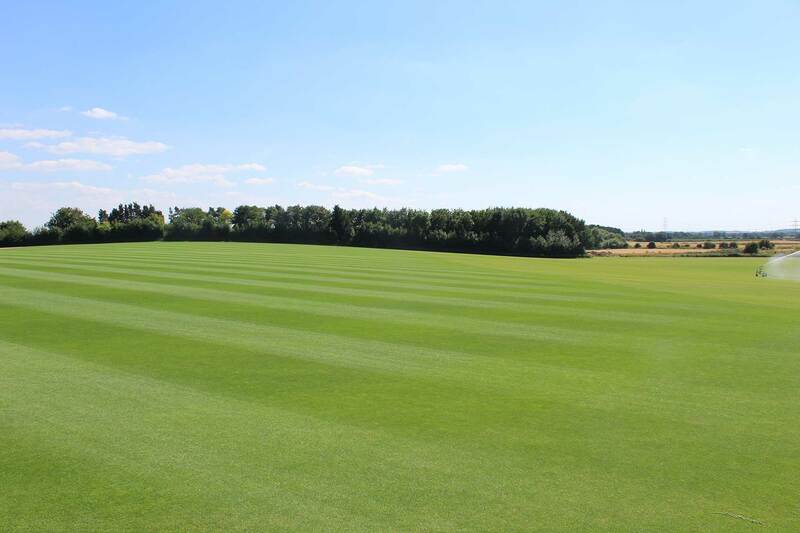 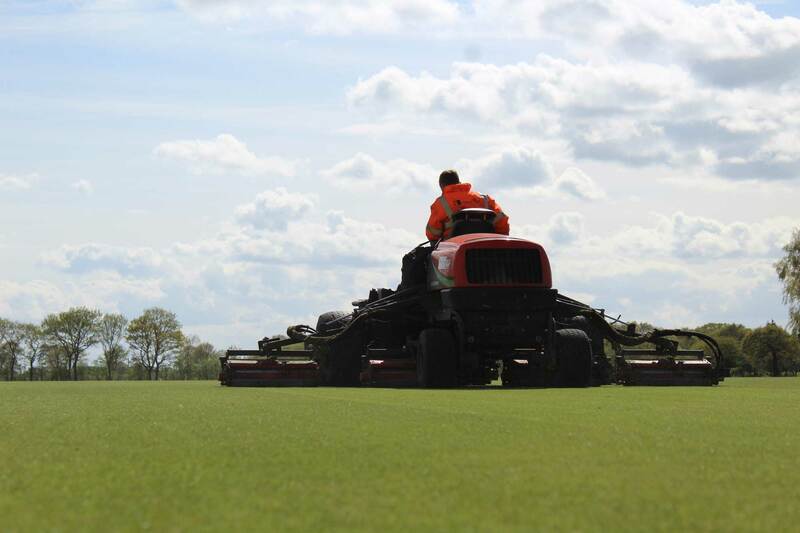 At Tillers our mowing operations utilise a fleet in excess of 20 mowers with a combined overall cutting width of close to 100 metres. 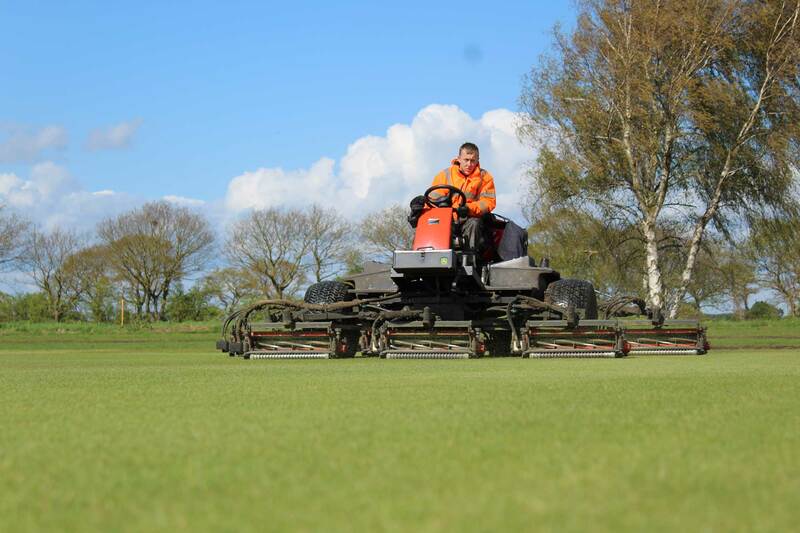 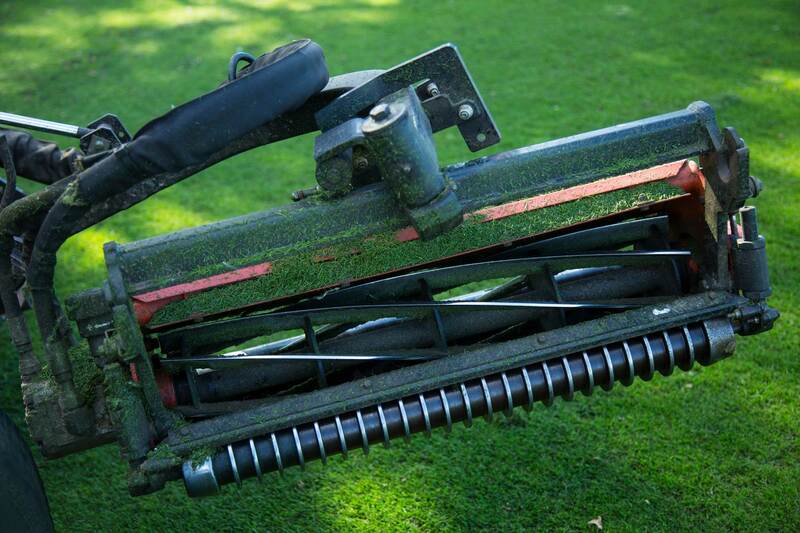 Our fleet includes the impressive 23 gang V-Mow, with a cutting width alone of 16 metres. 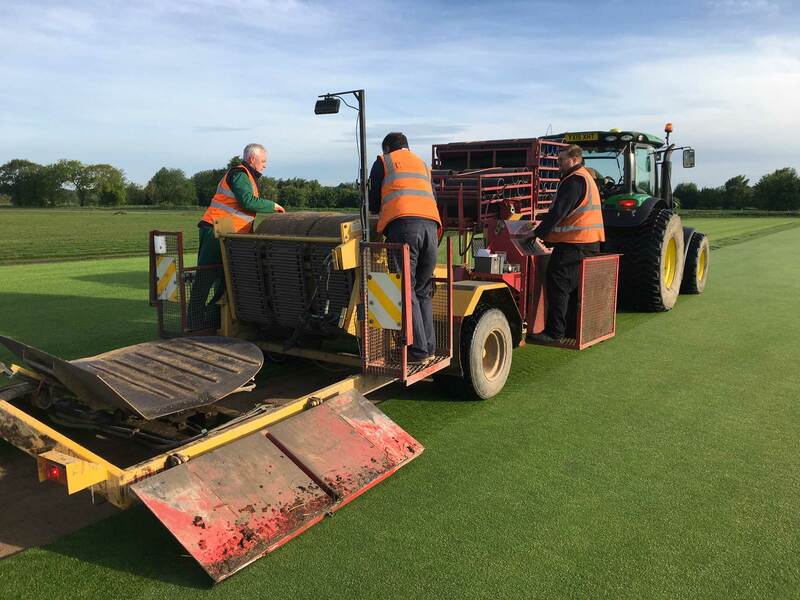 Our well trained service department is kept extremely busy during the Winter months servicing and regrinding cylinders to ensure our fleet is ready to go for the upcoming season. 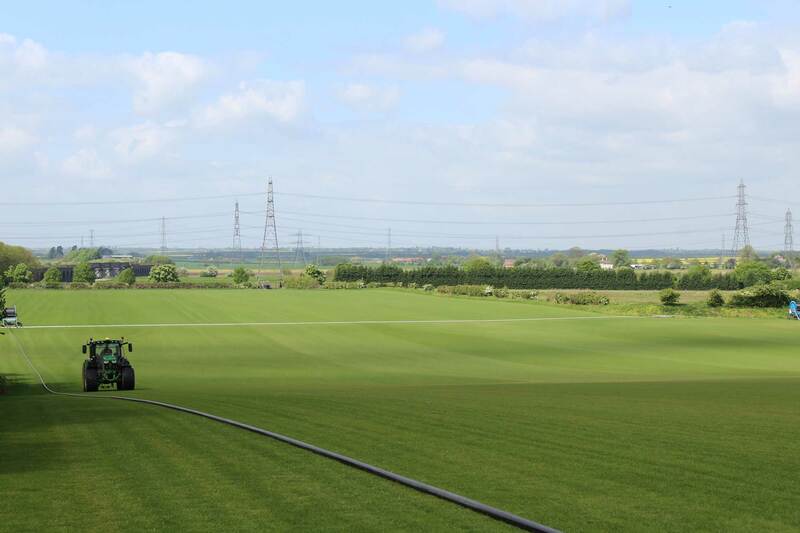 Irrigation is at the forefront of our production operations during the warm Summer months and our dedicated irrigation team work around the clock to ensure our crops receive sufficient moisture. 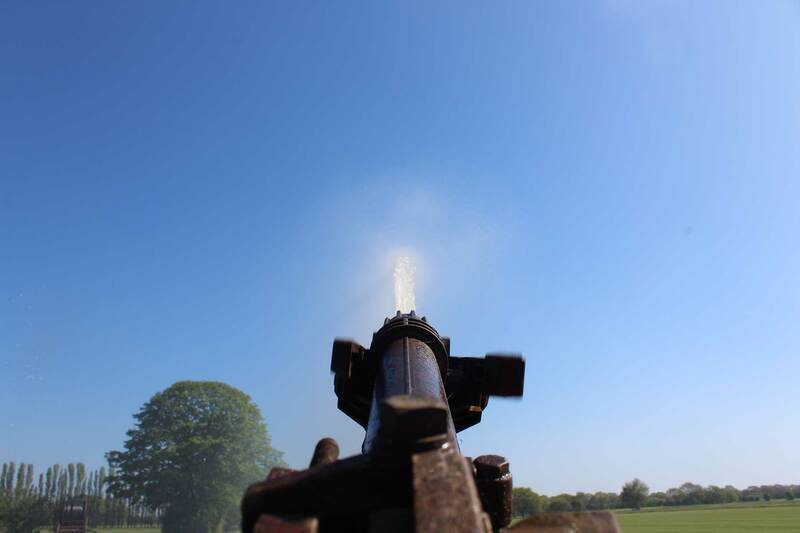 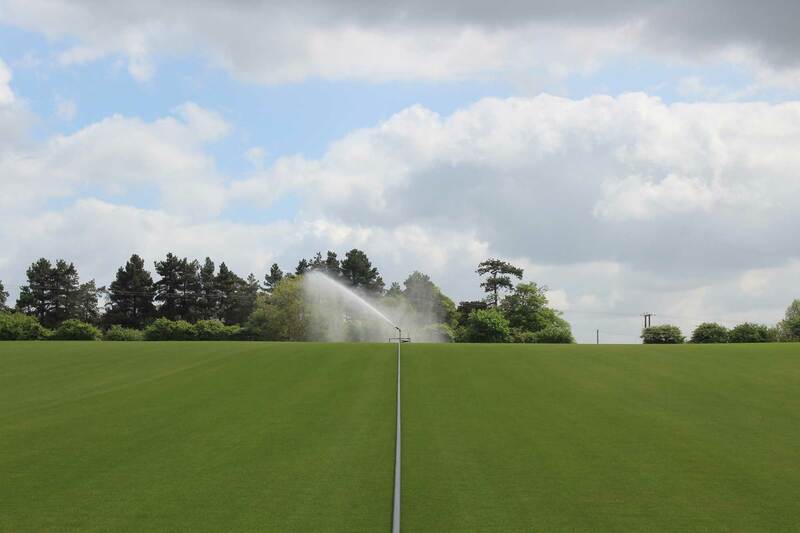 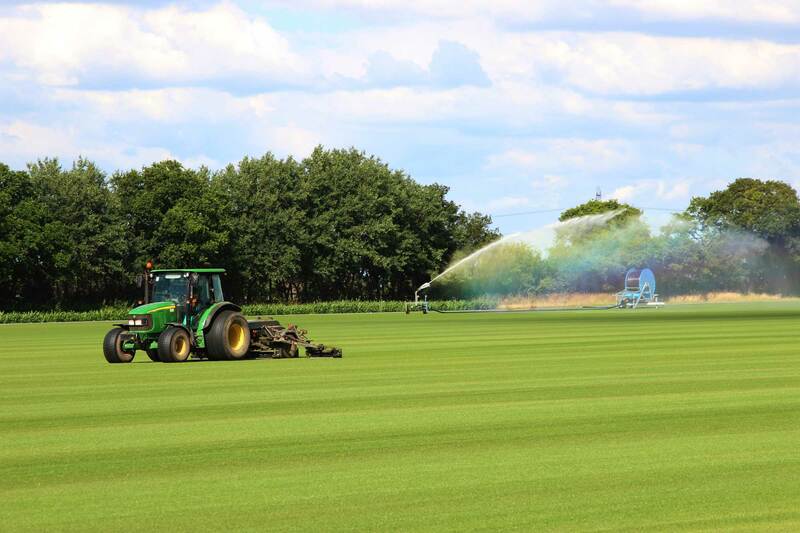 Water is transferred using high powered pumps through approximately 15 miles of pipe, supplying 20 irrigation guns and over 1000 overground sprinklers that service the needs of our Wildflower Turf products. 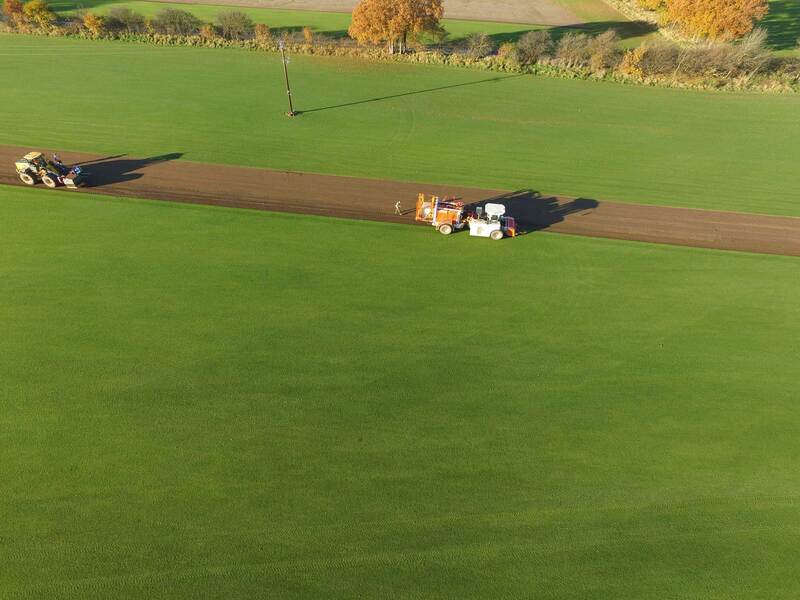 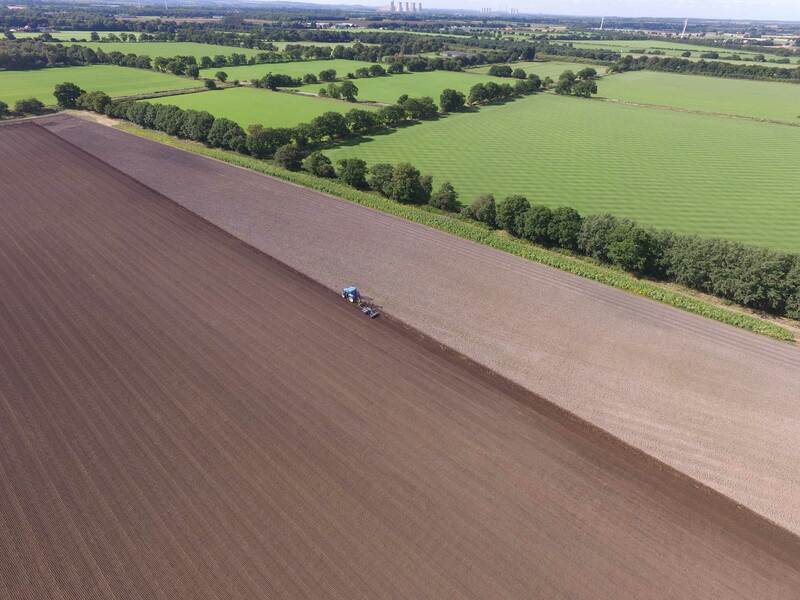 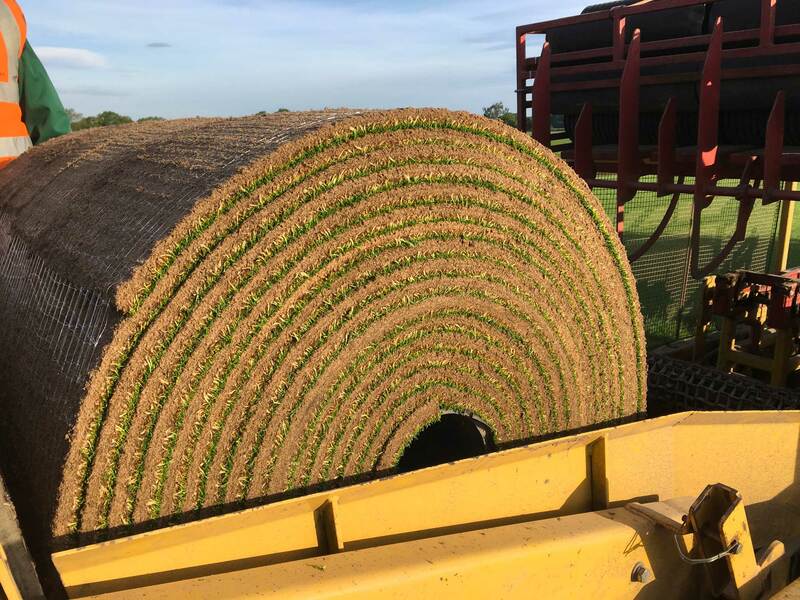 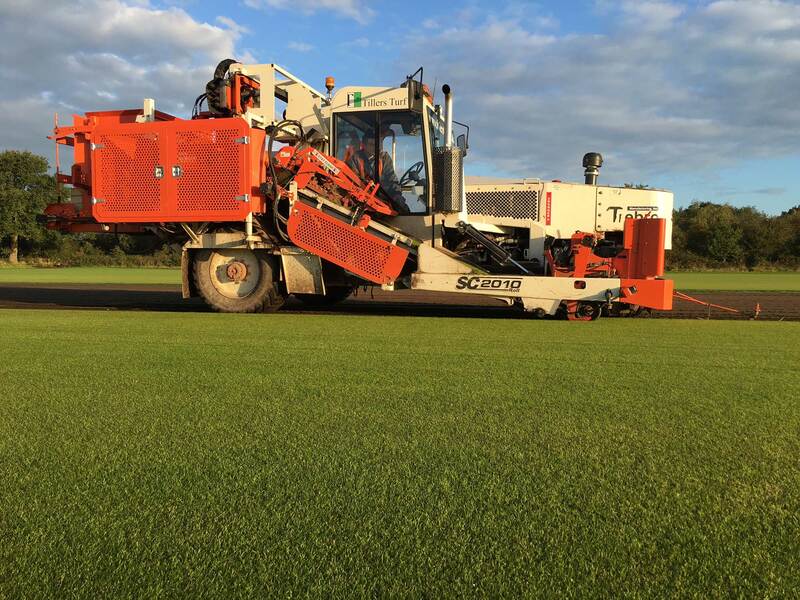 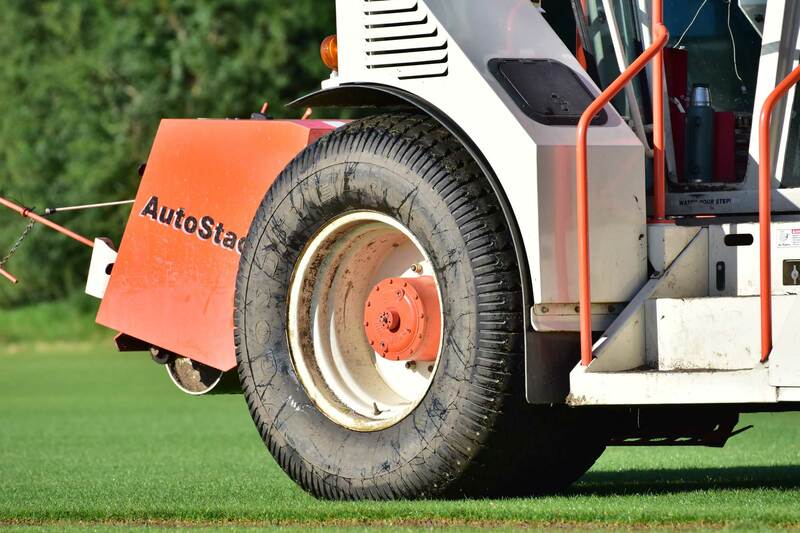 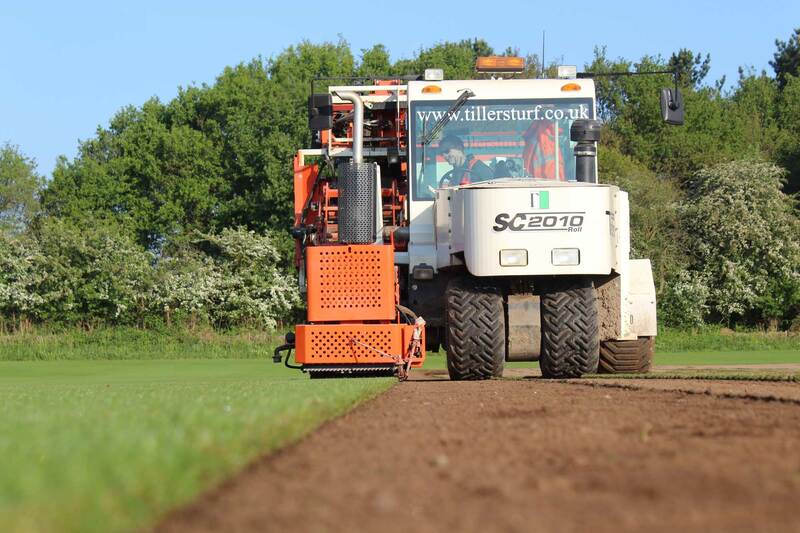 During harvest, our team seamlessly coordinate the cutting of turf orders from our extensive product range across multiple fields and locations. 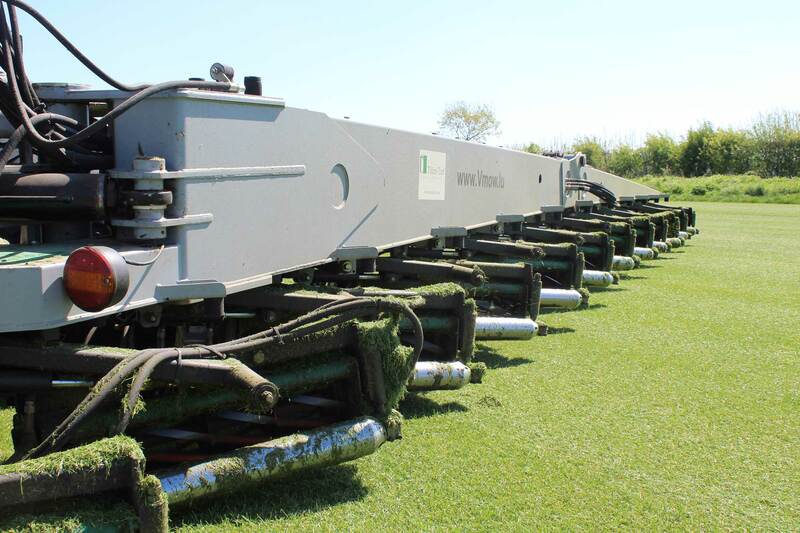 Our fleet of turf harvesters includes Trebro Harvestack's, SC2010’s and the impressive twin row Autostack II, capable of harvesting 40 pallets an hours, that's 50 rolls a minute! 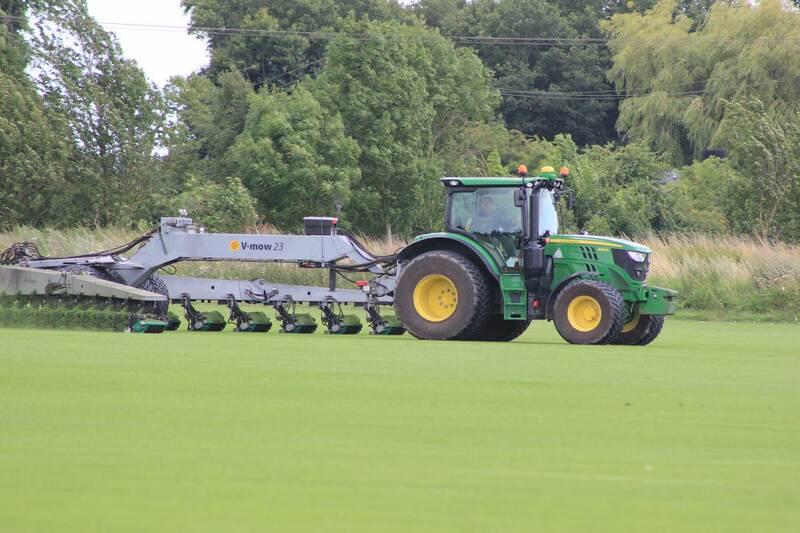 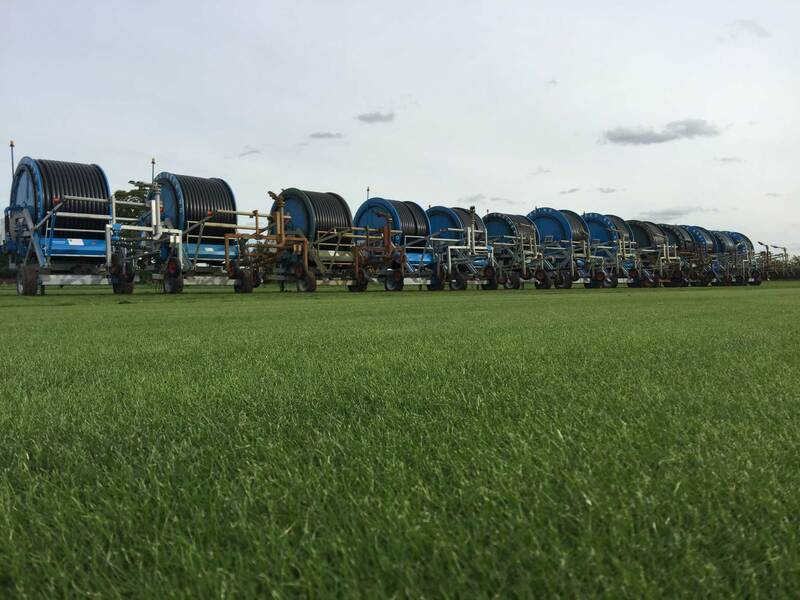 Our customised Magnum SR is utilised for the harvest of turf in Big Roll format. 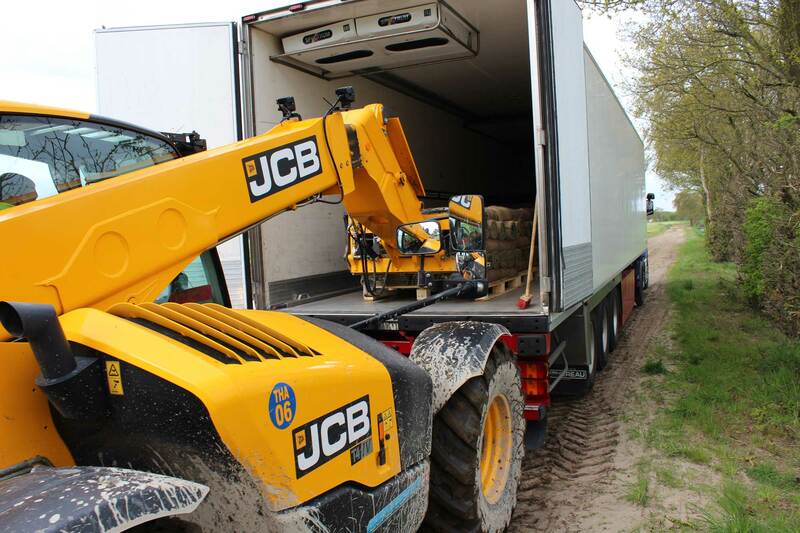 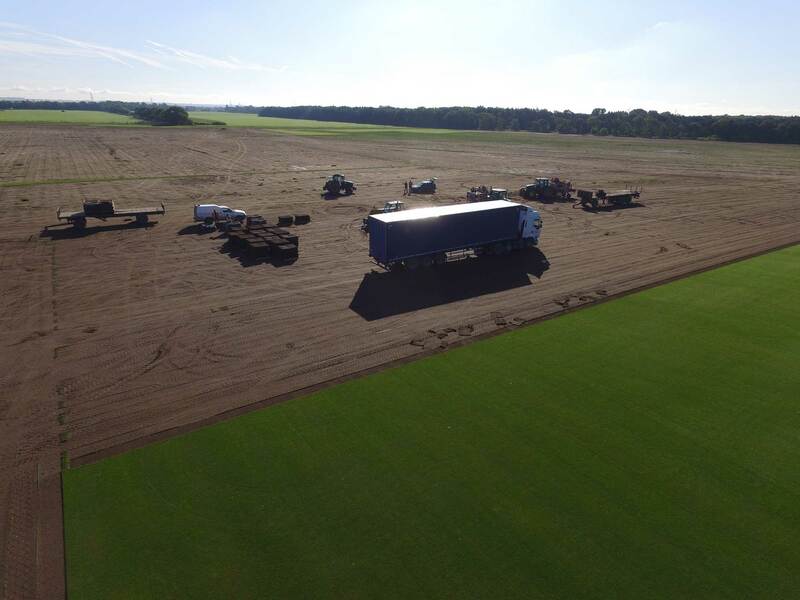 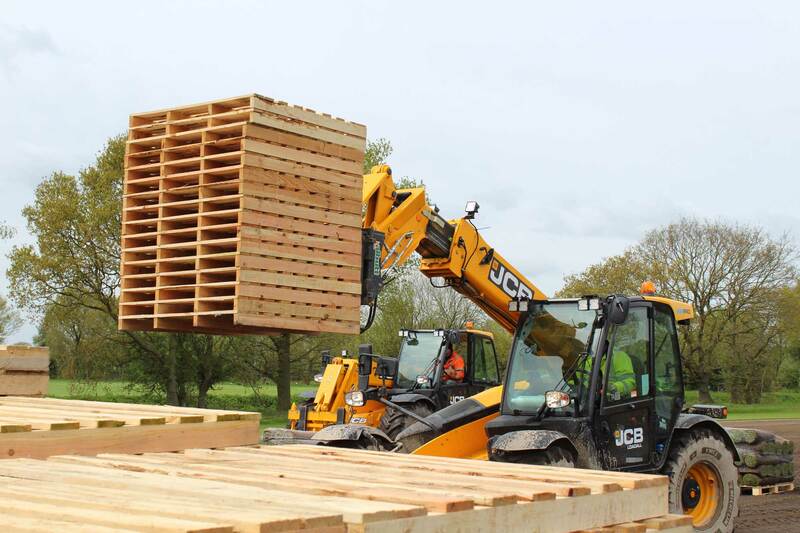 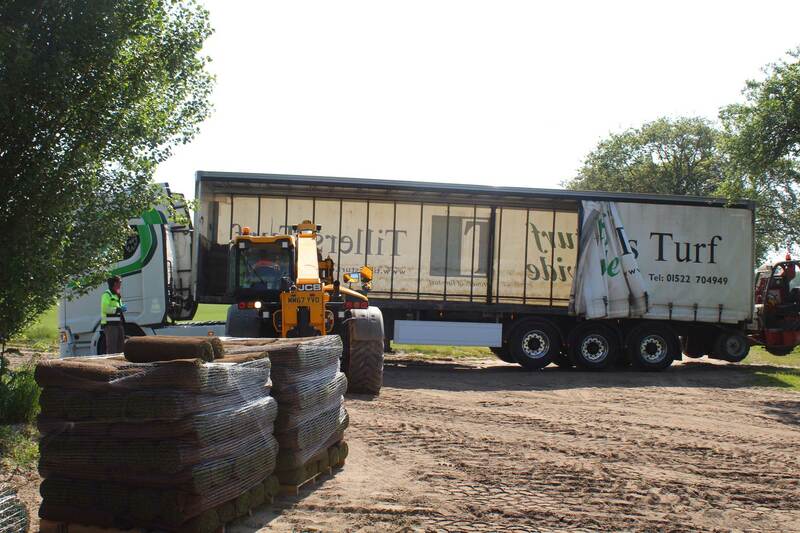 Once the turf has been lifted, our team of Telescopic Forklift drivers work tirelessly to ensure all harvested pallets of turf are collected from the field and distributed efficiently to the correct lorries enabling them to depart on time.